1905 Provisions were made for each of the state's forty-six counties to have game wardens. They drew no salary, but received one half of the fines they collected and one half of the fees of the non-resident licenses they sold. 1906 The S.C. General Assembly created the State Board of Fisheries and charged it with the general supervision of commercial and tidal fishing along South Carolina's coast. 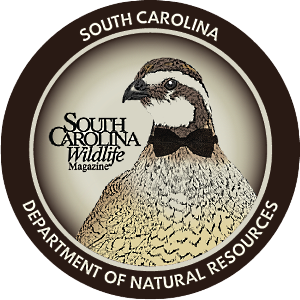 1907 South Carolina Audubon Society incorporated, bringing game wardens under statewide coordination. 1905 Act No. 293 provided that South Carolina's bird, game, and non-migratory fish laws would be administered by the Chief Game Warden. This legislation signaled the birth of the state's wildlife department. 1910 A hunting license law was established. 1928 Pres. Franklin D. Roosevelt urged states to address soil erosion by creating local conservation districts. The Conservation Districts Law, Act 182, provided for the creation of South Carolina's 46 soil and water conservation districts and a state agency, the S.C. Soil & Water Conservation Committee, later to become the S.C. Land Resources Commission. 1937 The Pittman-Robertson Wildlife Restoration Act provided funding for the selection, restoration, rehabilitation and improvement of wildlife habitat, wildlife management research, and the distribution of information produced by the projects. The Act was amended October 23, 1970, to include funding for hunter training programs and the development, operation and maintenance of public target ranges. 1938 The first conservation district farm plan in the nation was initiated in Oconee County. 1941 The Wildlife Department purchased its first property, 5,866 acres in Hampton County now part of the Webb Center. 1947 The first biologist was hired by the Wildlife Department. 1949 South Carolina's deer and turkey stocking projects began. 1950 The Dingell-Johnson Sport Fish Restoration Act provided financial assistance for state fish restoration and management plans and projects. This act and the Wallop-Breaux amendment allowed development of the Freshwater Fisheries section. 1952 The State Board of Fisheries was incorporated into the South Carolina Wildlife Resources Department and renamed the Division of Commercial Fisheries. 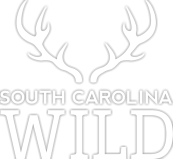 1954 South Carolina Wildlife magazine published its first issue, a black-and-white free quarterly that communicated to the public the mission and programs of the newly formed Wildlife Resources Commission. 1959 South Carolina boating law was enacted requiring the registration of powered boats. 1961 The first documented production of striped bass in the country was accomplished at the striped bass hatchery in Moncks Corner. 1962 The department acquired its first airplane, a 180 Cessna. 1963 The Hunter Safety program was begun. 1967 The S.C. Water Resources Planning and Coordination Act of 1967 established the S.C. Water Resources Committee. The act was amended in 1969 to change the Committee to the S.C. Water Resources Commission. 1967 The first artificial reef, with state involvement, was established 10 miles off Kiawah Island. 1969 Wildlife Resources Commission approved a final report titled "A Plan for Marine Resources Research and Development in South Carolina," which noted the essential need to establish a comprehensive research and development program for marine resources. 1970 In March, James A. Timmerman Jr. was named the first director of the newly established Marine Resources Division. Construction started on the Marine Center (at Fort Johnson in Charleston) to provide a facility for marine research and management. 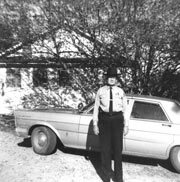 1971 The Game Management Area (GMA), now Wildlife Management Area (WMA), program began with department-owned tracts and leases. Fees were required for a permit. 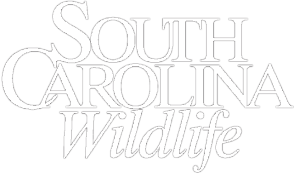 1972 The S.C. Wildlife Resources Department was renamed the S.C. Wildlife and Marine Resources Department to emphasize the importance of the Marine Resources Division. 1974 The Scenic Rivers Act was passed establishing the Scenic Rivers program. 1976 The Heritage Trust program was created to preserve those natural features and cultural remains that are disappearing as the state's population increases. 1978 The Small Game and Fur Resources projects were established to provide for research, survey and management efforts for animals like bobwhite quail, doves, raccoons and beavers. 1980 The Aquatic Plant Management Council was established to provide statewide coordination of aquatic plant management efforts in public waters, further strengthened by law in 1990 when the S.C. Aquatic Plant Management program and Trust Fund were established. 1980 The method to elect three Conservation District Commissioners was changed so that the election would be made on the General Election ballot. Prior to 1980, three of the five Conservation District Commissioners were elected by petition. 1983 Groundbreaking ceremonies were held in Bluffton for the Waddell Mariculture Research and Development Center for the research and development of techniques to culture saltwater plants and animals. 1984 The Operation Game Thief program was established to assist DNR officers in apprehending natural resource law violators. 1986 The Office of State Climatologist Act provided that the State Climatology Office will serve as the "climatological focal point for state government and its agencies." Legislation establishing the Drought Response program was initially passed in 1985 and amended in 2000. 1988 The ACE Basin Project began. The ACE Basin National Estuarine Research Reserve was dedicated in 1992. 1992 S.C. General Assembly established the Marine Recreational Fisheries Stamp (now known as the Saltwater Recreational Fisheries License). 1994 As a result of the Restructuring Act of 1993, the S.C. Department of Natural Resources was formed, made up of the former S.C. Department of Wildlife and Marine Resources, S.C. Water Resources Commission, S.C. Land Resources Conservation Commission, S.C. Geological Survey, and S.C. Migratory Waterfowl Committee. 1997 The Water Resources Division, Land Resources Division, and Geological Survey were combined into one division - Land, Water and Conservation, made "official" by the appropriations act of 1998. 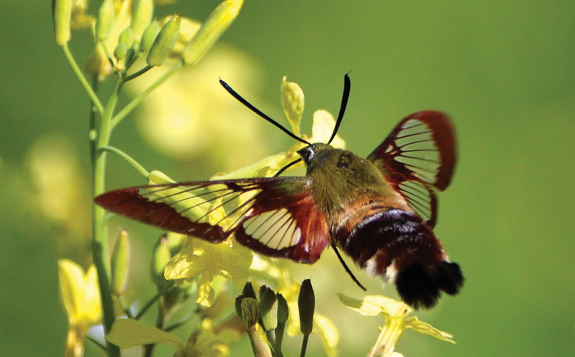 1998 The DNR, with the help of Duke Energy, the Richard King Mellon Foundation, and The Conservation Fund, purchased the 32,000-acre Jocassee Gorges tract, a most significant habitat protection project on the Blue Ridge Escarpment. 2003 A review of the Freshwater Fisheries program was completed in an effort to better address aquatic resource needs in South Carolina. 2005 Purchase of 10,000-plus-acre Bonneau Ferry tract completed.